Cooling system failure is the leading cause of mechanical breakdown on the highway, according to the U.S. Department of Transportation. Rust, corrosion, scale build-up, chemical breakdown and the formation of acid all contribute to the likelihood of cooling system failure. 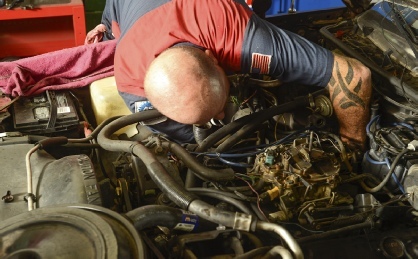 If your cooling system fails, your engine and transmission could suffer severe damage leading to costly repairs. The solution to this problem and your best assurance of cooling system protection is preventative maintenance. Automobile manufacturers and auto clubs recommend a cooling system service about every 2 years/30,000 miles. Simply draining the radiator and refilling it with new coolant is not enough because it leaves about 50% of the used coolant behind. Wynn's® Cooling System Flush Service replaces 90-95% of the contaminated coolant with fresh coolant. In the process Wynn's® Cooling System Flush also removes rust and scale deposits throughout the cooling system, not just the radiator. To protect your cooling system between services Wynn's® Radiator Sealant is added to replace factory sealants typically lost with coolant replacement. Sealants help prevent minor leaks, foaming, and lubricate water pump seals. ● Provide the best means for factory recommended cooling system service. ● Remove rust and scale deposits that can cause overheating and breakdown. ● The formation of rust and scale deposits that can cause overheating. ● Cooling system rust and corrosion. ● Cooling system leaks and dry seals.